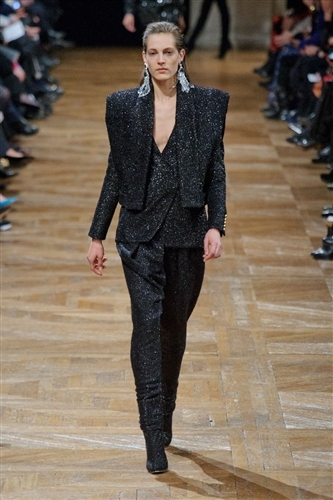 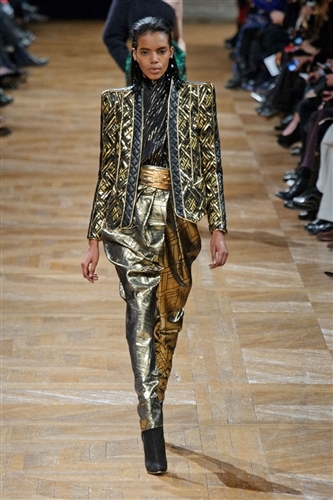 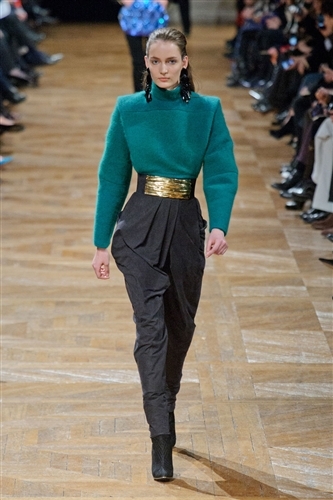 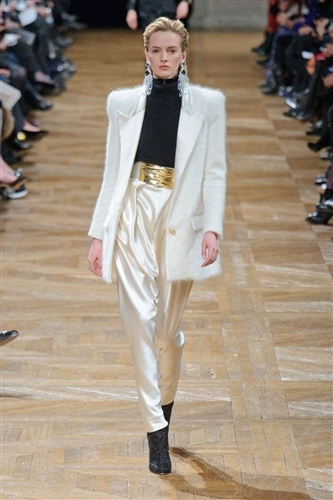 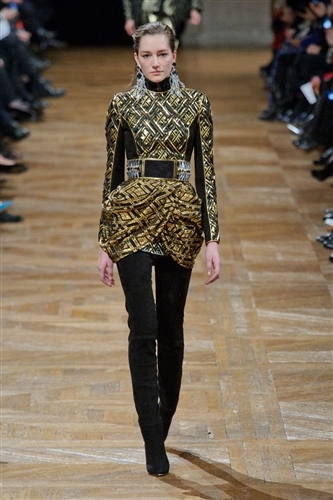 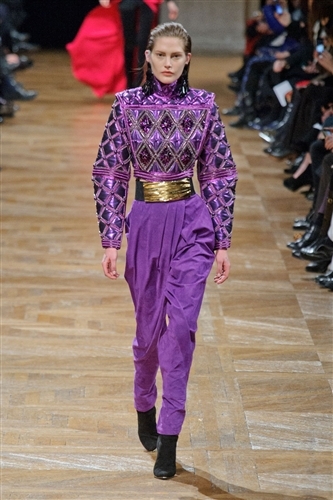 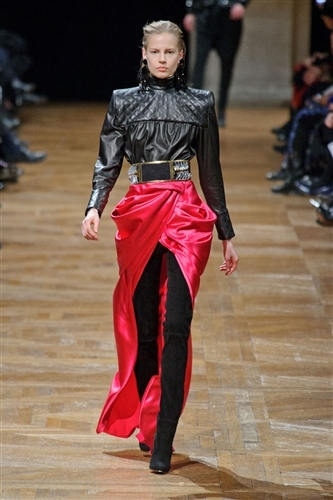 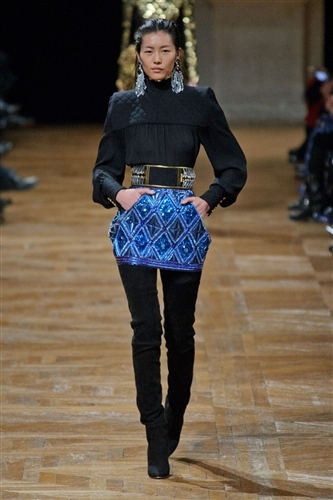 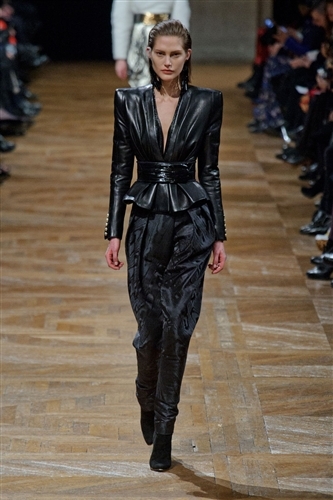 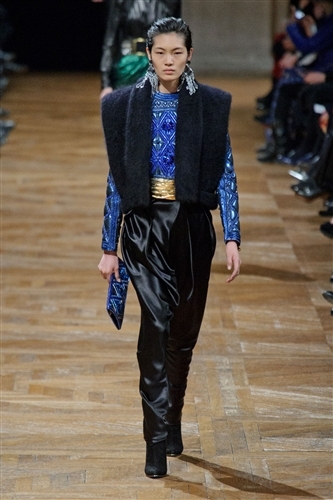 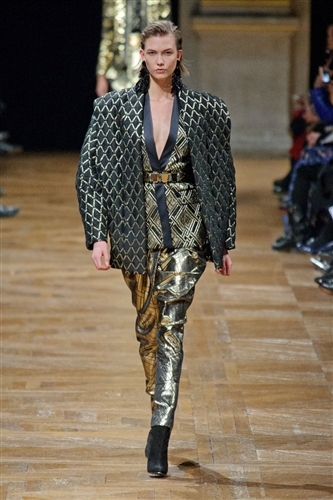 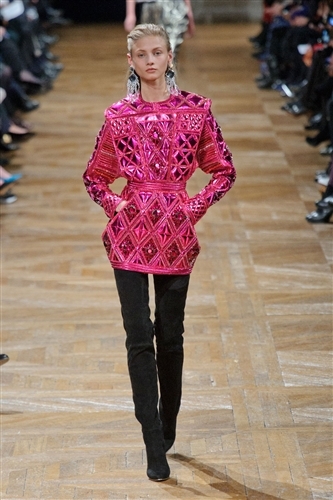 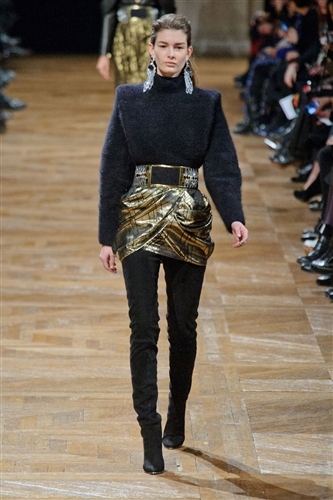 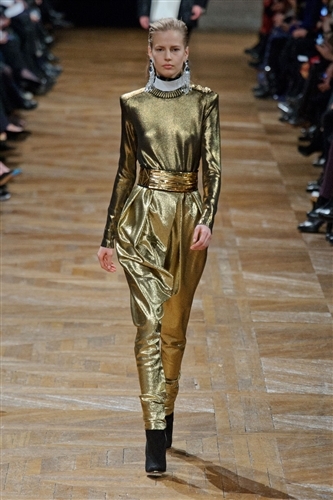 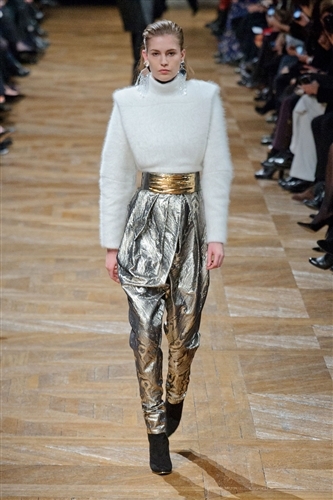 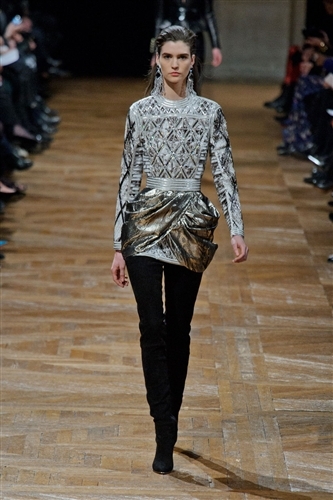 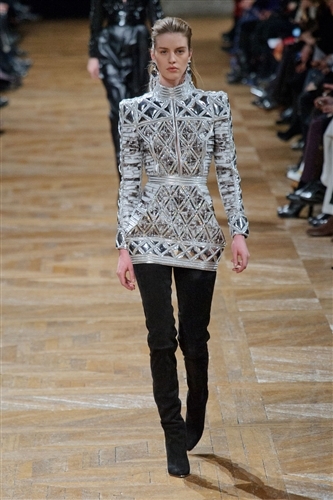 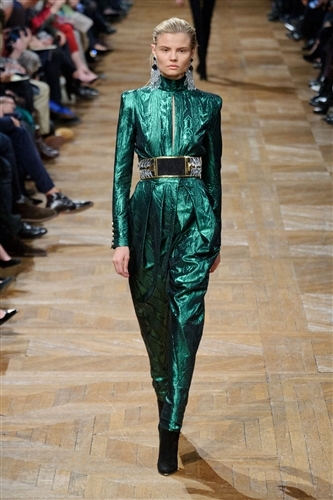 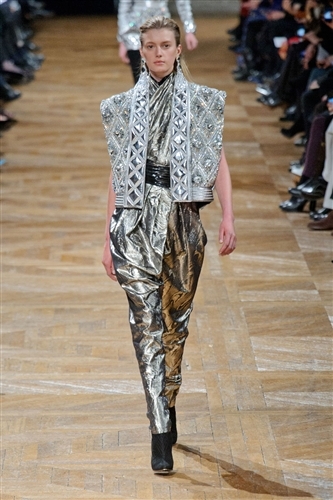 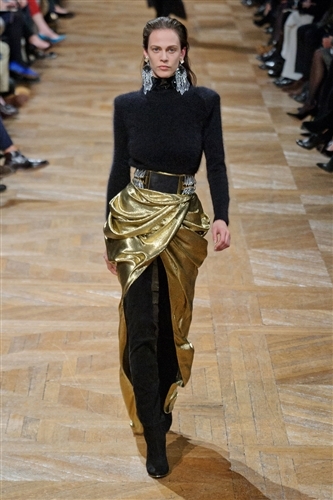 Olivier Rousteing delivered another exciting and progressive collection for Balmain this season. 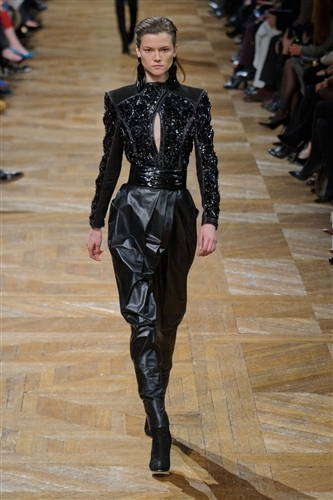 The designer has gained a reputation for pushing the limits of the silhouettes designs can create and for his latest collection he pushed this even further. 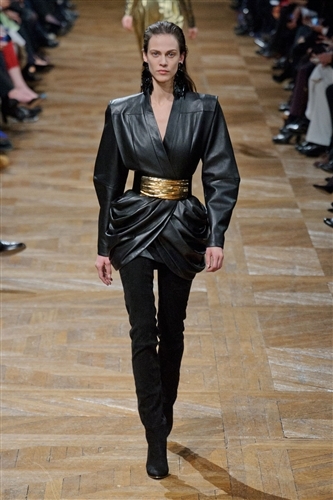 The silhouette Oliver created this season was one of extremes with big pronounced hips, flared sleeves and nipped in waists. 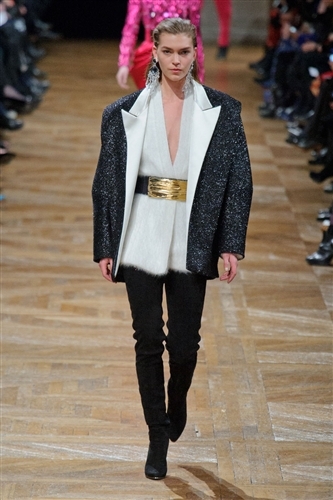 It was aggressively feminine. 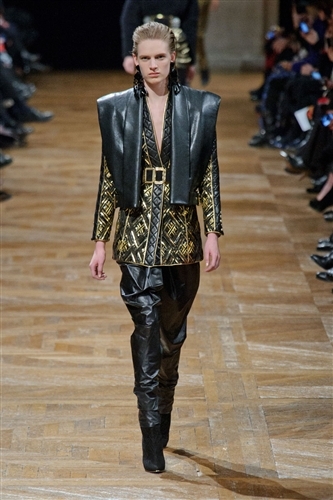 The designer also played with a mixture of textures including quilted leather and then added futther interest with embroidery. 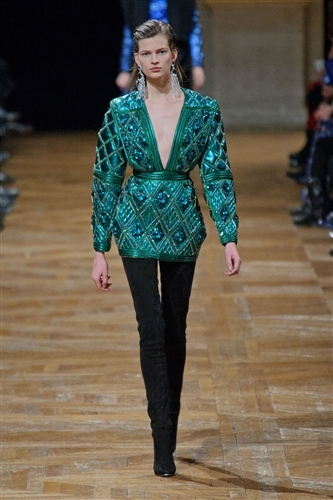 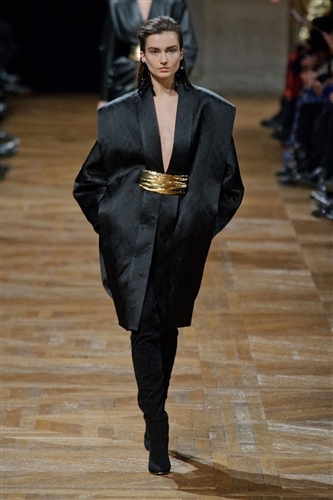 Balmain is not the label for practical every day wear, Oliver creates clothes that are playful, dramatic and statement making, certainly not the choice of wallflowers.